TORY FRONT BENCH spokeslass Theresa May said that we’re reaching a 1984 situation in Blighty, after it emerged Crown Prosecution officials had to put incorrect data into the computer system they use to satisfy its maw. It is cloud cuckoo land, obviously. And we got to the 1984 situation years back when. The real problem is that computers are the biggest hazard to civil liberty and Jobsworthism on the planet, and putting them in the hands of inexperienced civil servants and politicians poses a real danger to us all. IF ONE CPU core isn’t enough for you, Intel is readying a notebook chip called the Core 2 Extreme QX9300 in Q3, said Digitimes. Anything with the word Extreme in it makes us nervous – whether it be Extreme Cold, Extreme Heat, or Extreme Ice Cream. ASUS is having trouble shipping more EEE PCs because batteries for the unit are in short supply. The firm told the Taipei Times that a fire in an LG factory would mean that even though it will ship five million of the units this year, it won’t be able to expand into other markets. In June it will introduce an EEE PC with a larger, 8.9-inch screen and which will come with a choice of Linux or Windows XP. AH FOR THE OPEN road. 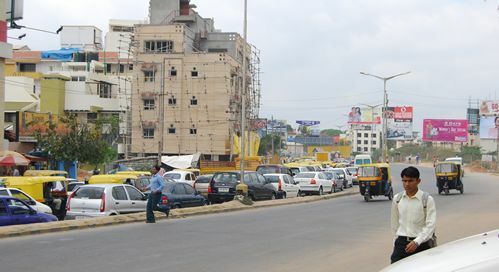 Pictured here first is a Bangalore street in Koramangala, showing that the going isn’t easy at 10AM in the morning. A few minutes later, the nearside lane will resemble the farside lane. Ah what joy! 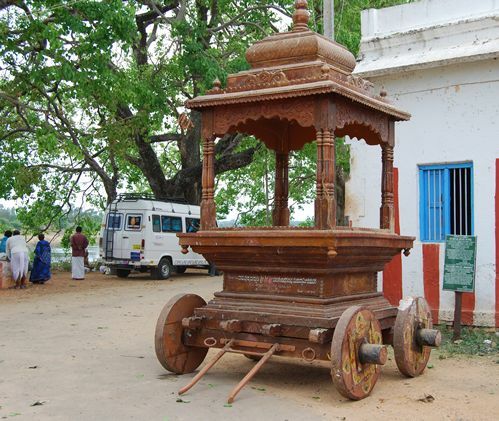 Then below this there is an old method of transportation when Shiva goes for an outing at the Agastya temple not far from Mysore. A PIECE at an Anandtech bog describes a series of problems with Microsoft Windows Home Server (WHS) which the Vole has finally fessed up to. Server shares are corrupted, which in anyone’s book is a pretty immense SNAFU. BEARS MADE to dance in North Karnataka are to be fitted with microchips in a bid to restore them to a natural way of life. According to the Bangalore edition of the Times of India, wild park rangers have so far chipped up 60 sloth bears which are in the custody of Kalandhars, a familial group which has traditionally supervised the bear gigs. The bears will be returned to their natural habitat, while the Kalandhars are being given schools and craft training centres to make up for the shortfall in their incomes.